Style meets simplicity with the Bottega Veneta® BV Grand Low Top Sneaker. Genuine leather and breathable fabric upper. Lace-up tie front closure connected mostly through unreinforced eyelets with dual reinforced eyelets up through the top. Pull-tab at the back of the heel. Round-toe silhouette with signature intrecciato pattern. Soft canvas and genuine leather lining. Lightly cushioned leather and canvas footbed with embossed logo. 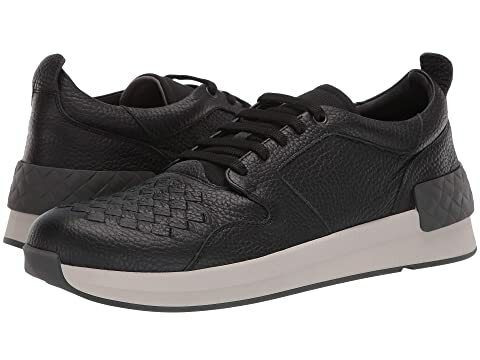 We can't currently find any similar items for the BV Grand Low Top Sneaker by Bottega Veneta. Sorry!